Without form, without sound, without light. The state of being nothing, the state of nonexistence. 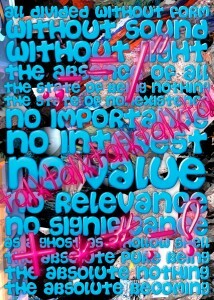 No importance, no interest, no value, no relevance, no significance.